This item is sold by 5 bolts. 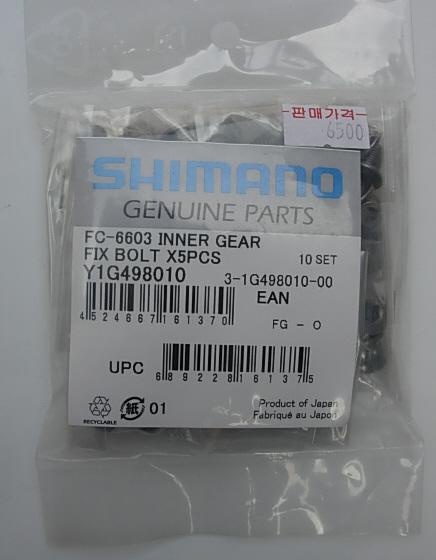 Shimano FC-6603 Ultegra Inner Gear Fix Bolt Y1G498010. Y1G498010 Untegra 3 Step Crankset 1 Step Chainring fix bolt M8 x 8.5 This item is sold by 5 bolts.